When ordering the SIGMA EKOPELL boiler the customer should specify on which side the container should be located (right or left). Additional equipment components shall be added during ordering of the boiler because there is no possibility of installation in the future. 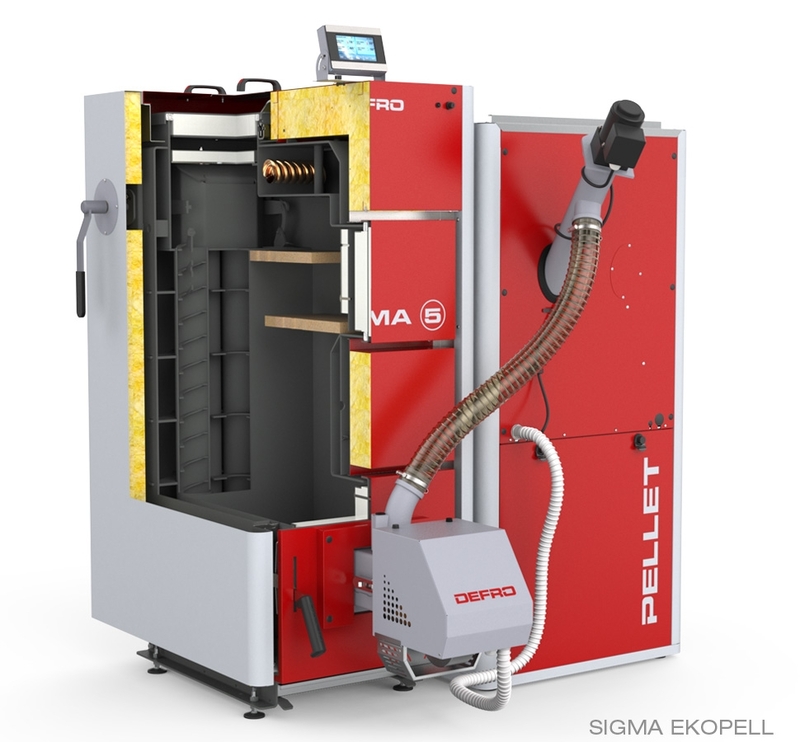 Boilers with automatic fuel feeder and burner adapted for combustion of biomass in form of pellet. They are equipped with innovative controller servicing 4 pumps and mixing valve, controller allows also connection of the GSM control modules. Design of the boiler is based on high performance heat exchanger made of certified boiler steel. Ceramic plates are located over the automatic furnace and economizers in vertical flue gas ducts to increase combustion efficiency and to reduce pollutant emissions. Boilers meet the power-emission requirements of class 5 of the PN EN 303-5:2012. *BEFA list - boilers introduced to the prestigious BEFA list should meet the highest technical and heat efficiency standards. The entry confirm the highest ecological, design and energy efficiency standards. Boilers from the BEFA list are co-financed in the Germany.